Inbox already does a great job of categorizing your email messages, but you still end up getting notifications for everything that comes in. 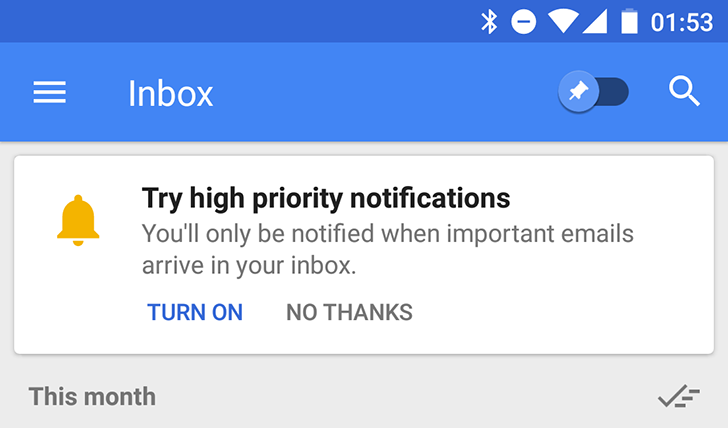 In a recent teardown, we discovered that a new Inbox feature called 'High priority notifications' was in development. Now it seems to be going live - at least for some users. Email really isn't designed to handle massive files being sent along with messages... but then, since the standard has been in use for decades, it's been modified in a lot of ways that weren't originally intended. Today Google is expanding email's capabilities some more, at least in terms of the Gmail system. According to the latest Gsuite blog post, Gmail users can now open attachments in incoming mail of up to 50 megabytes in size. The Gmail team put artificial intelligence to task with Inbox. Its usefulness as an email client is punctuated by how effective it is at organizing and determining the importance of incoming mail. Of course, there's always room to add more clever features, whether they are designed to cut down cognitive load or just save a couple taps. 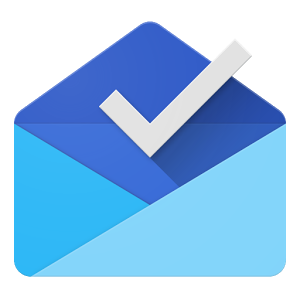 A teardown of the latest Inbox update reveals two more features are coming soon to do exactly that. 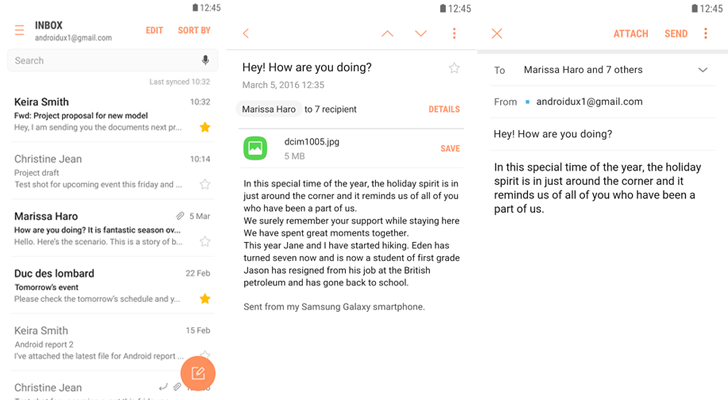 The first is a simple button to sort your messages, and the second is an option that uses a little computer intelligence to pick the best text from each message to show in previews. Have you always wanted to try Google's Inbox email application, but don't have or use a Gmail address? EasilyDo, developer of EasilyDo Assistant, has released the appropriately-named 'Email.' As you can imagine from the name, it's yet another email application trying to sort your messages intelligently. Samsung's Galaxy devices include several exclusive applications developed by the company, one of which is Samsung Email. Like many OEMs do with their applications, Samsung has moved the Samsung Email application to the Play Store, allowing the company to provide updates outside of Android system updates. 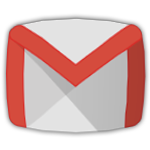 The latest version of Gmail began rolling out today with a short list of changes. Only one, actually. There's a tweak to the way quoted emails appear when you begin a reply, leaving the interface cleaner but possibly less intuitive. As usual, we've got a download link at the bottom of the post if you're looking to get the latest update ahead of its normal rollout schedule. Welcome back. Last we gathered here, the Pixel phones were only a rumor and Google's Home invasion had only just appeared at Google I/O. In the time since, letters have continued to pour into the Android Police inbox. As always, the only purpose we can find in some of that correspondence is to put a smile on your face. Let us know in the comments if they do. Email can be overwhelming, so it's useful to get someone else to manage it for you. Failing that, a computer should be able to take over the task. Google's Inbox has been doing this for a while now, with cool features like bundles, smart replies, digests and snoozing until later. A new feature, Templates, has just appeared in the web version of Inbox, which makes email even easier. Templates are basically preset text snippets that can be inserted into emails. The user manages these and can create or delete a template. For example, if you want a custom signature, or some blurb about confidentiality when emailing an attachment, you could use a template for either. 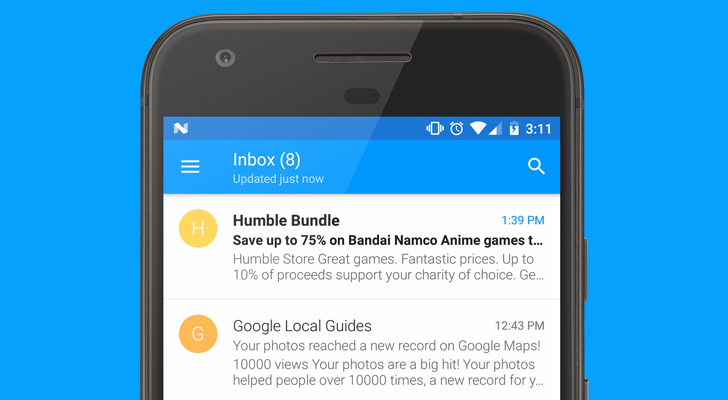 Google's Inbox email client aims to be more automated than Gmail. It bundles messages and suggests replies for you. Now, it's making it easier to attach photos to your emails. 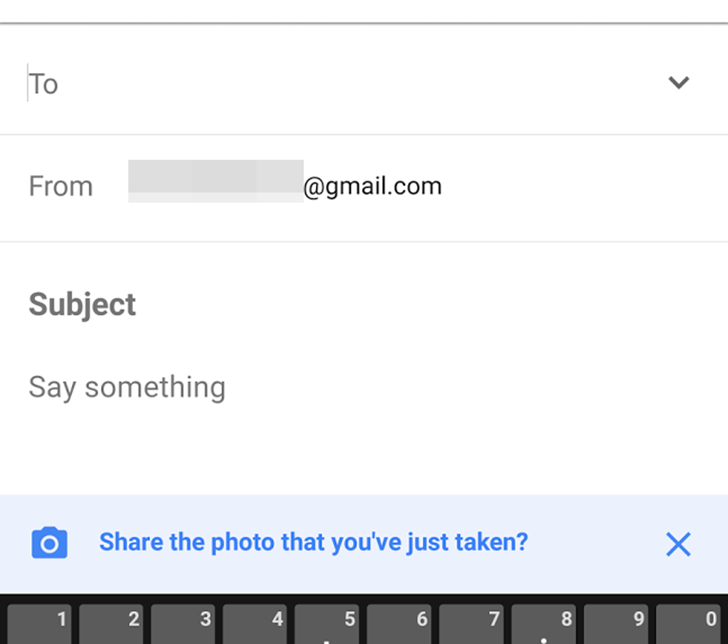 If you took a photo recently, new emails will get a handy link to add it as an attachment.